Queen, lover, mother, outcast, victim, and survivor – this is how controversial historian Dr David Starkey assigns the roles of the six wives of Britain's most famous monarch, Henry VIII, in the sexual intrigue and cut-throat power politics of his long reign from 1509 to 1547. From the time that Catherine of Aragon, a Spanish princess and widow of his deceased brother, refused Henry's demand for divorce, leading to a break with the papal authority of Rome, the battle for religious control and the king's heart raged. The women in Henry's life were players, not just pawns, in the game. Their decisions were as influential in changing the course of English history as the king's, but the stakes were high. Not all were able to dodge the executioner's axe. Anne Boleyn, who actively encouraged the king's break with Rome with her keenness for the new Bible, was beheaded, as was Catherine Howard. 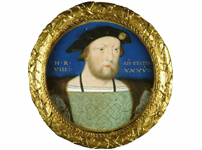 Jane Seymour died after giving birth to the son Henry craved. Yet all left their mark. 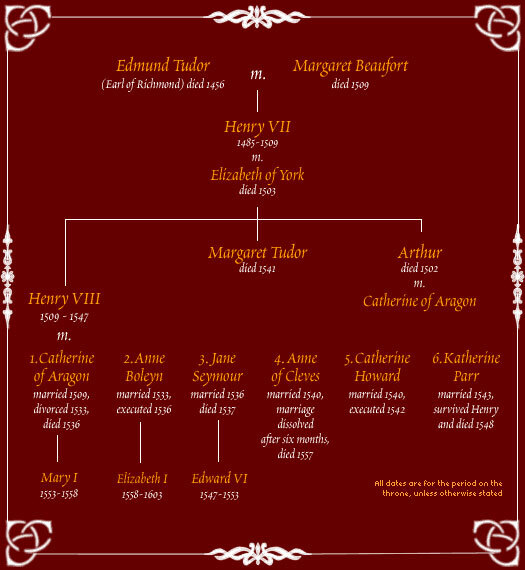 Follow the key events and players in the life of each of the six wives of Henry VIII.